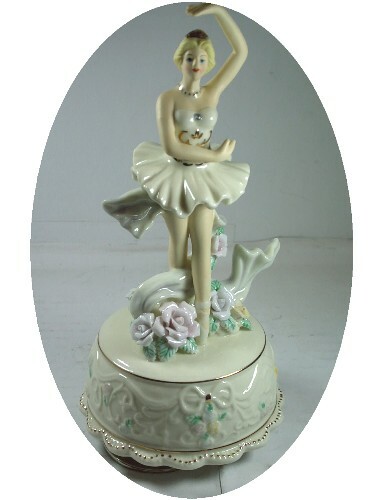 This beautiful ballerina music box figurine is made from porcelain. She is fitted with a clockwork wound musical movement, which is fitted into the base. 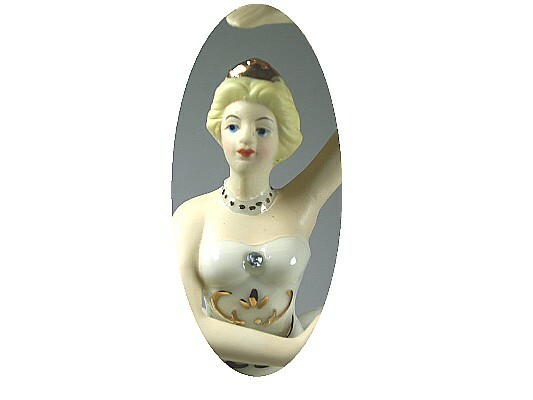 Once wound, the ballerina musical figurine revolves to the music as it plays.